It seems only too fitting that David Lan’s luminous reign at the Young Vic should draw to a close with this bold, creatively thrilling international import. 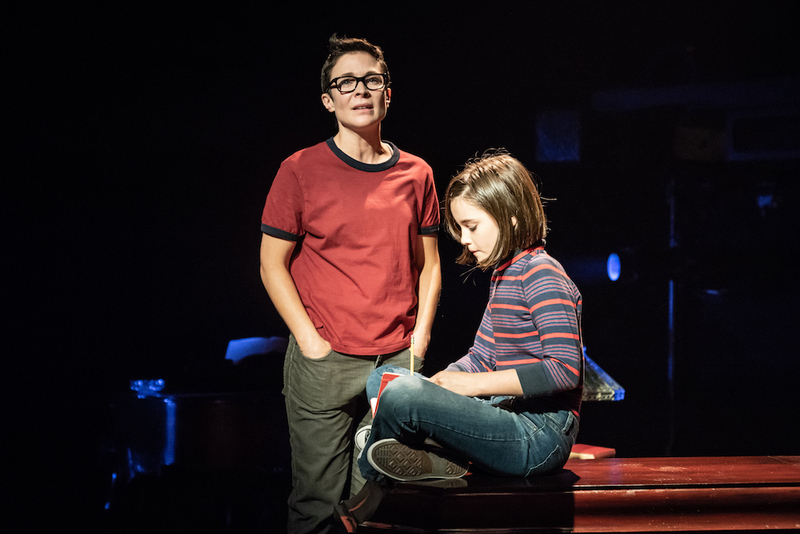 Jeanine Tesori and Lisa Kron’s Tony-winning musical, which premiered Off-Broadway in 2013, is an exquisite adaptation of Alison Bechdel’s graphic-novel memoir – a heartfelt detective story that traipses through memory in order to decode our loved ones, and ourselves. This entry was posted in Journalism, Theatre and tagged alison bechdel, america, dad, family, fun home, gay, graphic novel, homosexual, jeanine tesori, jenna russell, lesbian, lisa kron, london, memoir, musical, parent, review, theartsdesk, theatre, tony award, young vic. Bookmark the permalink.